Pregnancy is the time where you need to educate yourself about what is best for “YOU AND BABY.” What you eat in this time affects your energy, health, & development of your baby. Maintaining a healthy appetite during pregnancy is very important for you and the coming baby. 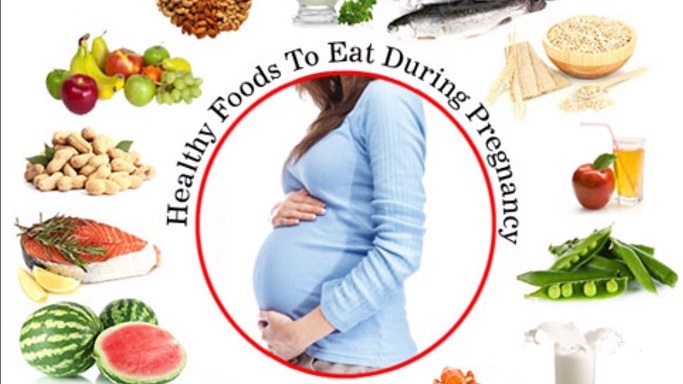 Here, I will share the list of foods to eat during pregnancy as, during this crucial time, a woman’s body needs additional nutrients, minerals, & vitamins. In fact, extra calories that are 350-500 calories each day is essential for a pregnant lady during 2nd & 3rd trimesters. Since you need to increase the calorie, make sure you choose nutrient-dense food. If you’re growing a baby & not eating correctly, then you are also causing your baby starve. A diet which doesn’t have key nutrients may have a negative impact on baby’s health & development as well. A recent survey of 2300 moms-to-be, it was found that 63% of such ladies don’t meet the recommended five to nine servings a day. Rest 36% have unhealthy cravings which make them eat unhealthy stuff. We understand it’s not easy to order a bowl of greens when you are internally craving for a chow down pizza. But, we should be aware that poor eating habits can lead you to gain a lot of weight which increases the risk of birth complications & gestational diabetes. Here are the best foods to eat during pregnancy to deliver the most bang to your baby bump. All these foods are beneficial for you & your baby. These foods encourage healthy fetal development, helps in reducing the risk of congenital disabilities & also helps in preventing complications associated with pregnancy. All you need to do is keep it simple, choose healthy & nutritious food to ensure the well-being of you & your fetus. Gaining weight is normal during pregnancy but gain it healthily. Eating healthy will not just keep you healthy but also helps you to lose pregnancy weight post delivery. So add these listed below nutritious foods to eat during pregnancy to boost your nutrition count & the best part is that these healthy eating ideas taste good too. Eggs are the healthiest superfoods because it almost contains every nutrient that is required by the body. An egg contains the excellent quality of protein, iron, & fat. Eggs are not just a good source of protein but also provide all sort of amino acids that a pregnant lady & her baby need. It contains 77 calories but also rich in vitamins & minerals such as lutein & choline. Eggs are an excellent source of choline which is responsible for brain development, lifelong ability to learn & health of the baby. Low intake of choline during pregnancy increases the risk of neural tube defects. These defects may lead to decreased brain function in babies. A survey of US shows that 90% people are choline deficient as they don’t consume the right amount of choline which is recommended. A single large has 113 mg of choline which is almost 25% of the recommended intake for a pregnant woman. 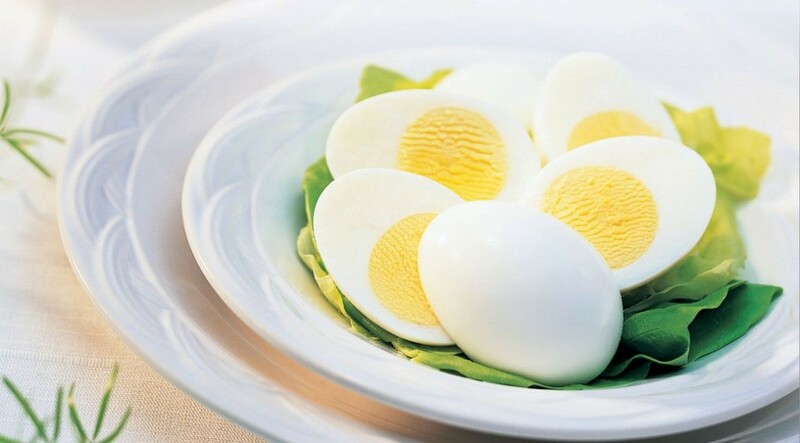 Recommended consumption of choline a day for a pregnant lady is 450 mg.
People have a misconception that egg yolk has just fats, & hence they avoid consuming egg yolks & only eat egg whites/Although egg whites have more protein yolks are baby making gold as they contain almost all egg’s choline. The yolk has essential fats soluble vitamins such as vitamin D which reduces the risk of low birthweight & gestational diabetes for pregnant ladies. You can consume eggs in the form of omelets, scrambled, hard cooked or in sandwiches & salads. Also, you can include them in homemade waffles & whole grain French toast or add eggs to the salad of spinach & mixed leaves with dry roasted sesame or fenugreek seeds. Lean cuts of beef are a powerhouse of nutrients & an excellent superfood to eat during pregnancy. 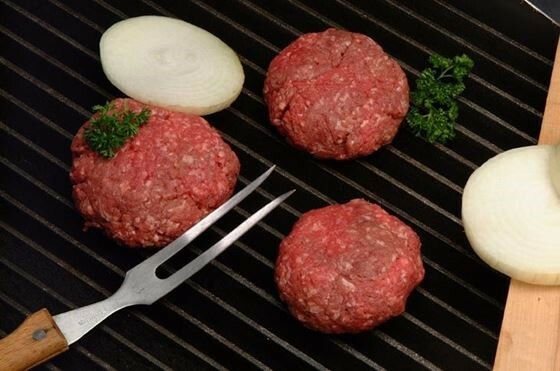 Beef is full of protein, Vitamin B6, B12, Zinc, iron, & niacin that too in highly absorbable forms. Talking about the daily requirement of zinc for ladies, Zinc is a mineral which reduces the risk of preterm delivery, pregnancy complication, & neonatal infections. The just 3-ounce serving of beef or pork makes you intake almost half of the daily requirement of zinc. Beef & pork are also rich in choline & other B-vitamins which are essential for brain development & peak cognitive powers of the fetus. Both these nutrients are vital in higher amounts during pregnancy. Beef, chicken, & pork are also excellent sources of high quality of protein. If we talk about the iron requirement for pregnant ladies, it is an essential mineral which is used by red blood cells to deliver oxygen to all cells in the body. It is required in higher volumes as blood volume increases in an expectant mother. Low consumption of iron may lead to anemia in ladies which merely doubles the risk of low birth weight & premature delivery. If you are consuming lean meat or beef regularly, you are taking care of 30 percent of protein needs & 8 percent of iron needs. Most women develop an aversion to meat, and it becomes difficult to cover the iron needs just by diet. For such ladies, they can consume foods that rich in vitamin C such as bell peppers or oranges as they help in increasing the absorption of iron from your diet. To enjoy the taste of beef, you can add ground beef to pasta sauces, use in patties for burgers, in tacos or even in stir-fry dishes. Flank steak or sirloin are more accessible to cook. For your cravings for the burger, you can take a single beef patty so that it keeps a check on your fat intake & iron intake. Legumes are an excellent source of iron, folate(B9), fiber, calcium, & magnesium. It includes all that your body needs more during pregnancy. 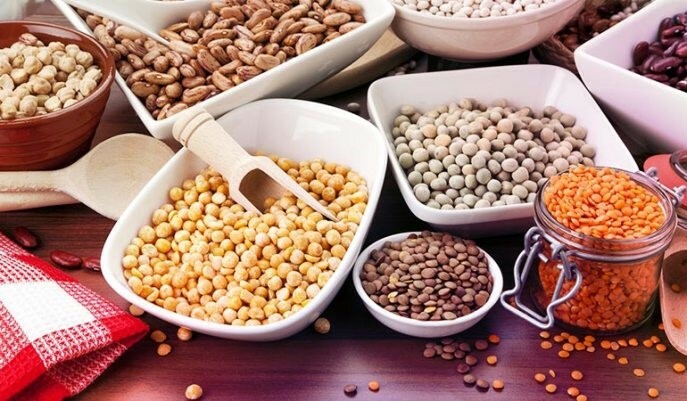 In this group of superfoods, it contains beans, soybeans, peanuts, chickpeas, lentils, and peas. All of these are an excellent source of protein as well. Consuming half a cup of legume contains 25% of daily requirement of folic acid to the body. Lentils have this nutrient naturally. You can also get folic acid from fortified foods like rice or pasta. Legumes are a rich source of folate which is one of the B-vitamins. This vitamin is essential especially during the first trimester of the health of expectant mother & fetus. Lack of folate vitamin in the body may lead the coming baby to be more prone to diseases & infections later in life. Consume at least one cup of lentils or black beans as they provide up to 65-90% of recommended dietary allowance of folate. On the other hand, we are well aware that adequate amount of iron consumption is also very crucial during pregnancy as it affects the production of myelin & formation of brain chemicals. Myelin is responsible for sending accurate & swift messages to the brain. Deficiency of iron in the body of an expectant mother can lead to impaired mental development in the baby. A pregnant woman requires almost 14.8 mg of iron per day so she can consume lentils as it provides 6.6 mg of iron. You can consume legumes with soups, salads & pasta dishes. Make a healthy lentil soup or serve them as a side dish with fish or your chicken dish to get a balanced serving. Add peppers, cabbage, butternut squash & tomatoes with your lentil soup to make it more delicious & healthy at the same time. Salmon is the only superfood in our list which contains DHA (which is a powerful omega-3 fatty acid). It is also a good source of protein & vitamin B which is essential as it promotes brain development & vision in babies. Long chain omega three fatty acids like DHA & EPA is significantly useful during pregnancy. It is recommended to consume 300 milligrams a day as this helps you protected from preeclampsia, preterm labor, & postpartum depression. It also helps in the development of Baby’s brain, vision, & central nervous system. Consuming a 3-ounce serving of the salmon gives you 500 milligrams of omega-3 fatty acids. That is more than the recommended value, & hence it is suggested that women should consume it once a week. Pregnant women are advised to limit the intake of seafood as it has mercury & other contaminants which are not at all healthy. On other days, consume chunk light canned tuna or eat DHA-fortified foods which include yogurt, milk, yogurt, chocolate, & bread. 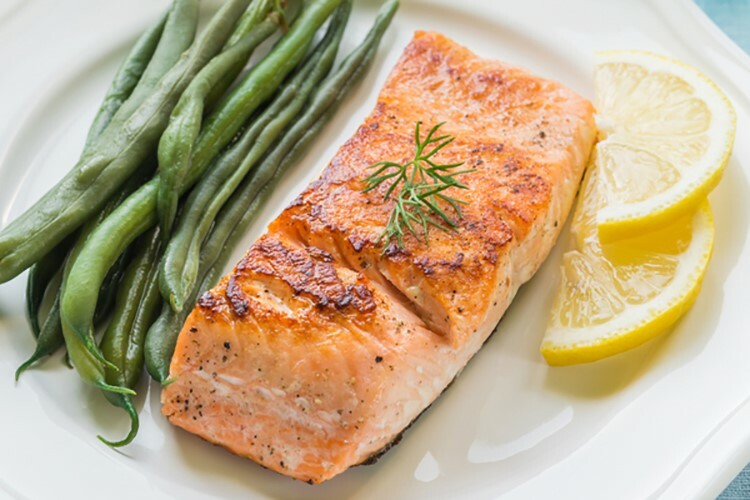 Studies reveal that pregnant women who eat 2–3 meals of salmon or seafood per week easily achieve increased blood levels of EPA & DHA and also achieve recommended intake of omega-3. Salmon is also considered a natural source of vitamin D, which is very important for vital processes in the body like maintaining bone health & immunity against diseases. Consume salmon in grilled or boiled form. You can also use canned salmon in sandwiches & salads. If you are a fish lover, then this superfood is for you to keep you healthy during your pregnancy. Sweet potatoes are one of the superfoods which contains folate, fiber, vitamin C, and carotenoids. All of these are converted by the body to form vitamin A. All these compounds also supply potassium in large amounts. Beta-carotene is a plant compound which converts into vitamin A in a human body. In the first-trimester cell division occurs rapidly and this nutrient works for cell growth & also helps baby’s body in differentiating which cells will become a part of which body organ. Vitamin A is essential for the healthy fetal development. 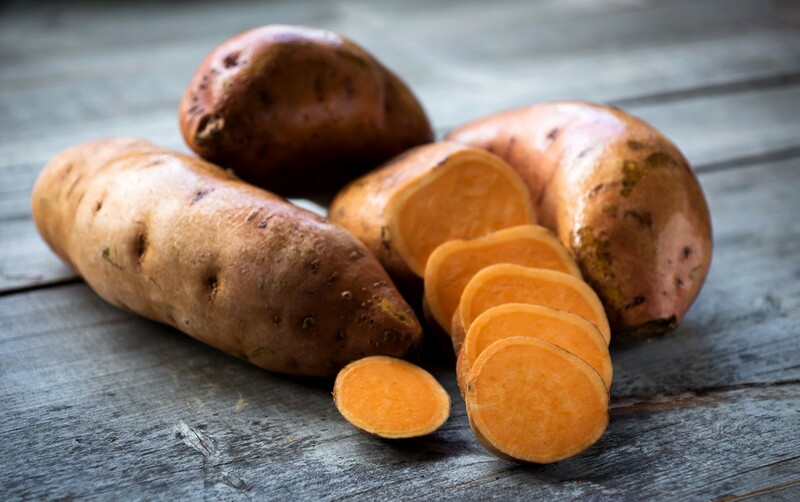 You won’t believe that 100 grams of baked, cooked or roasted sweet potato delivers over 400% of daily requirement of vitamin A. Doctors recommend expectant mothers increase their vitamin A intake by 10-40% during pregnancy. But you should avoid taking it from animal-based sources as they may have toxicity when consumed in excess quantities. Not just vitamin A, sweet potato is also rich in fiber & have energizing complex carbs which give you the adequate amount of calories. It reduces blood sugar spikes, increases fullness & improves the mobility & digestive health. A medium-sized sweet potato completes your daily quota of Beta-carotene. If you consume it with orange flesh, it will have the highest concentration of beta-carotene. Simple bake them for 30 minutes & eat it with skin intact to get maximum nutrients. Eat them with side dishes, as snacks or mashed with orange juice it is delicious and healthy at the same time. Slice them into wedges, coat with canola oil and roast them at 400 degress Fahrenheit until they become tender and soft and simply enjoy eating them. 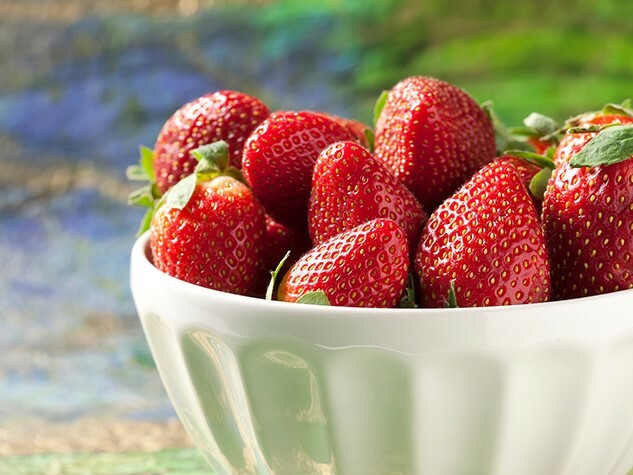 Berries are also an excellent source of a lot of essential nutrients which are necessary for a healthy pregnancy. It has healthy carbs, fiber, plant compounds, carbohydrates, vitamin C, folate and water content. They have high amounts of vitamin C which work great in absorbing iron for the body. Vitamin C is also perfect for the immune system and skin health. Berries have low glycemic index value which also doesn’t lead to spikes in blood sugar levels. The phytonutrients in it come from plant compounds which work great in protecting cells from damage. It can work as a superb snack as it is rich in water & fiber and along with good flavor you are getting nutrients while consuming very few calories. Simply use them on top of whole grain cereal, with yogurt or milk, in smoothies, salads, & pancakes, layer up your favorite yogurt with berries & add a sweet flavor to your crunchy whole grain cereal to make it a delightful & yummy dish for you during your pregnancy. 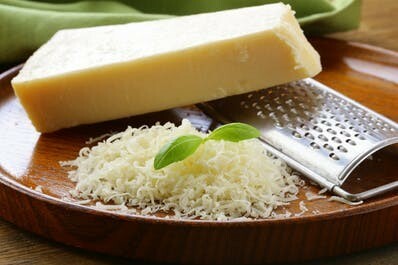 Cheese supplies magnesium, calcium and concentrated amounts of phosphorus to your and baby’s bones. It also provides an adequate amount of vitamin B12 and protein. To save on calories and fat, you can use cheddar cheese or Cabot 50% variety. Cheese is something you can add it on to anything to make it yummy and lip smacking. Be it snacks, whole grain crackers, fruits, soups, salads, sandwiches or omelets you can use cheese with every dish. Make sure you don’t overconsume it as it may lead you to put on extra kilos. Broccoli & dark green vegetables are a rich source of folate, calcium, lutein, carotenoids, fiber, & zeaxanthin. All of these nutrients are very important for a pregnant lady. These nutrients foster healthy vision. They also have potassium for fluid balance and normal blood pressure. Broccoli also leads to the production of vitamin A as it contains all raw material for that. It is also a rich source various vitamins like vitamin K and vitamin C.
Leafy vegetables and broccoli are also a rich source of antioxidants which are great for an expectant mother. As this vegetable has the high fiber content in it, it proves helpful in preventing constipation. Broccoli also contains plant compounds which are highly beneficial for the immune system and digestive system. 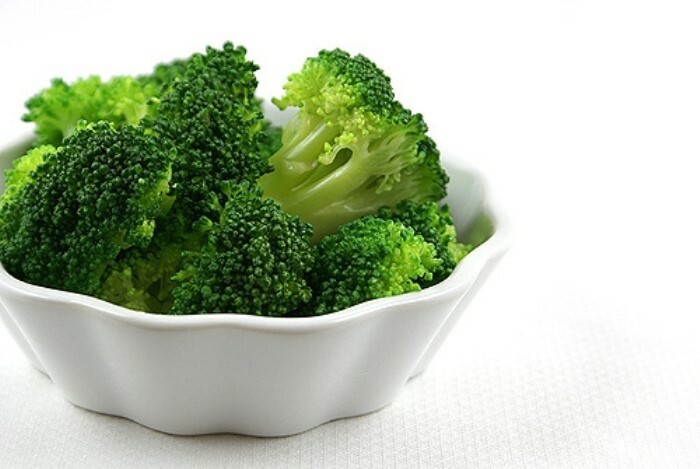 Due to high fiber content present in Broccoli, it prevents constipation problem in pregnant women. Moreover, it reduces the risk of low birth weight in babies. You can consume broccoli as a salad, or as a part of pasta. Use broccoli with stir-fry dishes, topped up with olive oil, steamed or add it to soups. Or you can take broccoli bite size pieces & coat them with olive oil, roast it in the oven until tender & enjoy deliciously roasted broccoli. 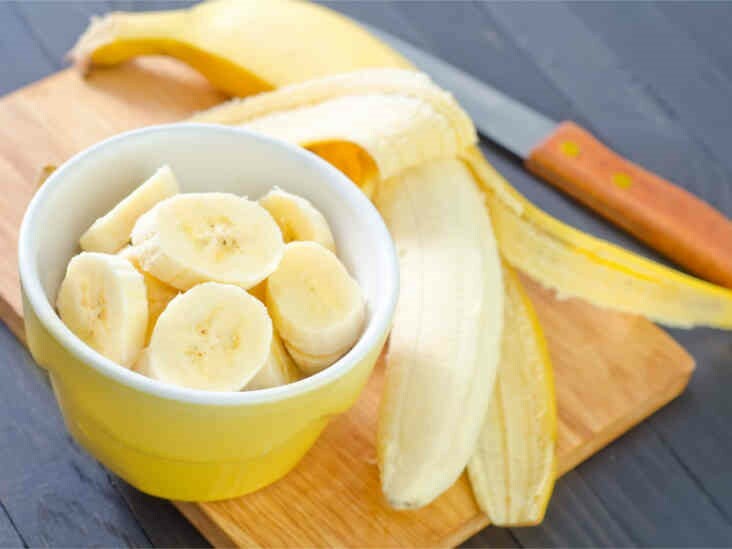 Bananas are the best and most portable snack which you can consume anytime in the day. It contains almost 10 percent of potassium that is required by the body on a daily basis. Potassium is a mineral which helps in avoiding hypertension due to pregnancy. Moreover, it is a healthy snack which keeps you satiated all day long and made you avoid unhealthy snacks. Avocado is one of the most unusual fruit as it has a lot of monosaturated fatty acids. These acids make up around 60% of developing the brain. Avocados also contain oleic acid which helps in maintaining myelin. Myelin is a fatty protective coating around the nerves comprising of the central nervous system. These are also high in vitamin B(folate), potassium, vitamin E, K, and C. It is also rich in fiber and copper. Avocados are the perfect choice for expectant mothers as they have high contents of folate, potassium and healthy fats. These healthy fats help in building the skin, brain, tissues of the fetus and folate helps in preventing neural tube defects. Potassium helps in relieving leg cramps as pregnant ladies face this issue a lot. 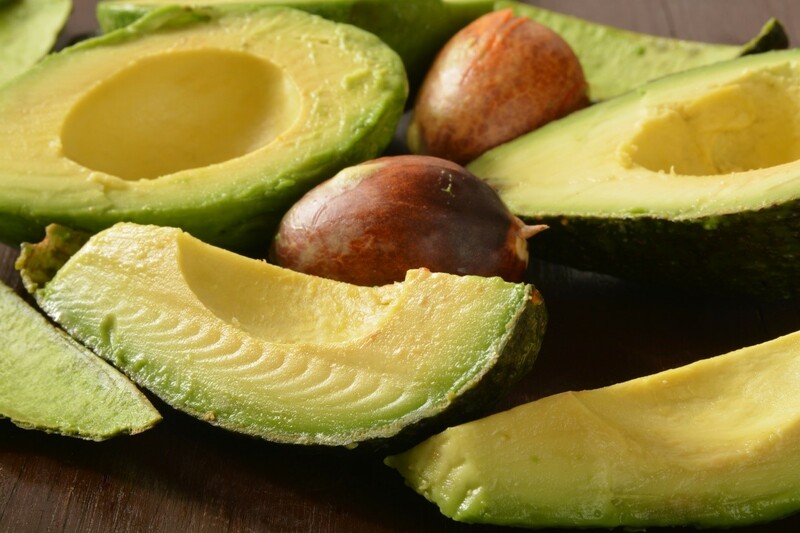 You may not believe, but avocados contain more potassium than bananas. You can also read another article on Tips for Your First Trimester. On a daily basis, an expectant mother needs fat (preferably monosaturated fat) which should come from 25-35% of your calorie consumption. Simply peel and consume or use it in salads. You can also add avocados to sandwiches. You can also whisk three avocados with lime juice, tomato & a small onion for a delicious dip which can consume with any snack. Dry fruits as we all know are the healthiest superfood which is mandatory to eat during pregnancy. Consuming simple a quarter cup of heart-healthy nuts almost gives more than one-third daily dose of vitamin E. It plays a vital role in the development of the brain in the infant. Dry fruits are the best snacks you can consume now & then during your pregnancy without getting worried about the extra calories as they are rich in protein & keeps the hunger pangs away. 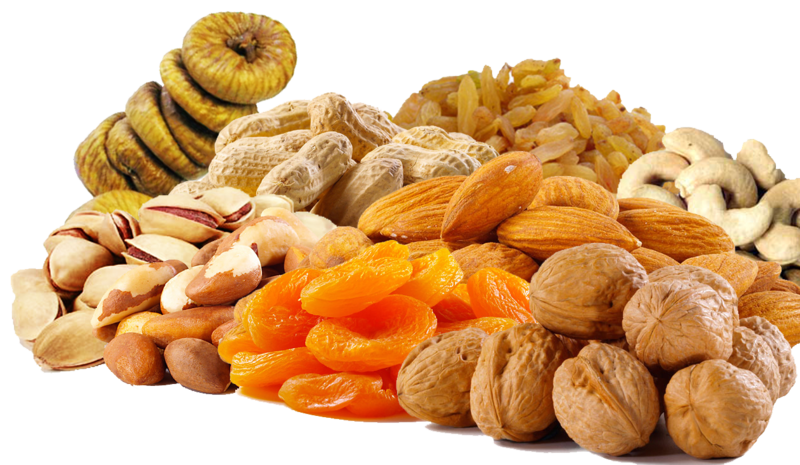 Instead of eating salty, empty calorie snacks opt for dry fruits as they are healthier than such unwanted snacks. Dry fruits are high in calories, fibers, minerals, & vitamins. They are a complete powerhouse of energy. Even a piece of dried fruit has almost same nutrients as fresh fruit. And hence even a single serving of dried fruit gives you a large percentage of nutrients including iron, potassium, & folate. Prunes are great choices of foods to eat during pregnancy as they are rich in vitamin K, sorbitol, fiber, & potassium. They naturally enhance your natural bowel movement & helps pregnant ladies in relieving constipation. Dates they are also a rich source of iron & plant components. Consuming them on a regular basis during the third trimester helps in reducing labor pain & facilitates cervical dilation. Brazil nuts are also great when you are considering dry fruits for your diet as it is a rich source of selenium & mono-saturated fats. It is essential for brain development of the fetus. You can also include peanuts as a snack food in your diet as they are rich in protein, folate, mono-saturated fats & niacin. They are also high in vitamin E content which protects brain cell membranes & DHA. Consume peanut butter during your pregnancy days for a yummy & healthy breakfast. Whole grains are rich in folic acid and have other essential vitamins like vitamin B, iron, magnesium and zinc. They are an excellent source of fiber & plant compounds. It has higher nutrition quotient than processed grains like white flour, white rice or white bread. Consuming whole grains during pregnancy can help you meet your daily calorie requirements especially during second & third trimesters. Oats & quinoa are the best sources of fiber & has a fair amount of protein which is essential during pregnancy. A cup of oats delivers more than 30% of your daily dose of magnesium which is necessary for baby’s bones & teeth. It also reduces the risk of preterm labor, regulates blood pressure & blood sugar level. 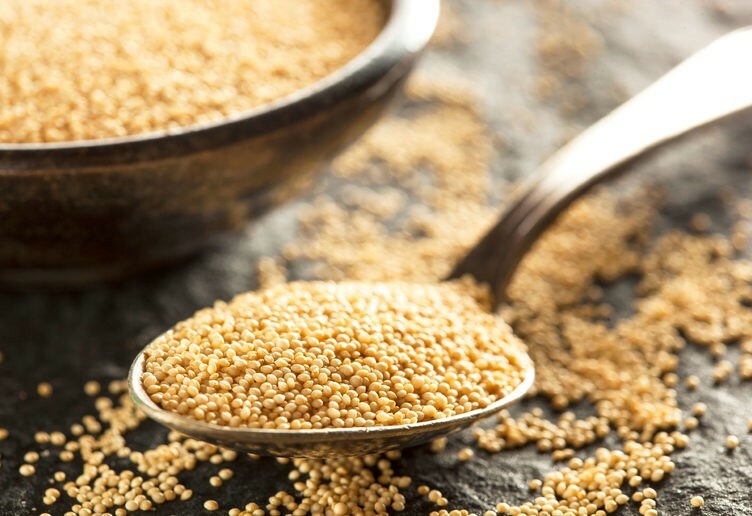 A cup of quinoa delivers 8 grams of protein to an expectant mother. Simply make a quinoa bowl with chopped veggies & black beans & enjoy the tasty breakfast. Take oats for breakfast combining them with whole grain bread sandwiches & a glass of milk. Consume brown rice, whole wheat pasta or quinoa for dinner to feel satiated all day long & maintaining the nutrition value as well. 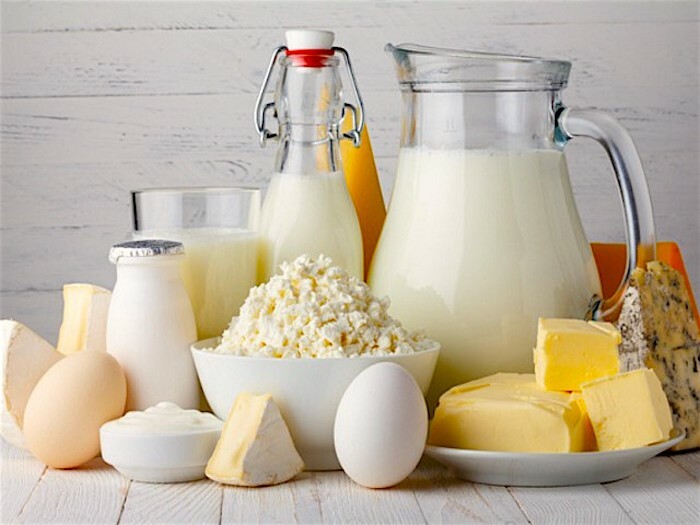 Dairy products are a great source of calcium, protein, vitamin D, and phosphorus. All these nutrients are bine building nutrients which a mother and her child require every day. Milk, as we are aware, is a power pack source of protein, vitamin A, and vitamin B as well. During pregnancy, women need to consume more calcium and protein to meet the needs of the growing fetus. If the baby is not getting that adequate amount of calcium from food the mother eats, then he takes it from the mother’s bones. That’s why it is essential to consume dairy products during your pregnancy for all essential nutrients. Dairy products have two types of protein; casein and whey, which you get majorly from yogurt or milk. Yogurt especially Greek yogurt is considered quite beneficial for expectant mothers as it contains the highest calcium than any other dairy products. It also has probiotic bacteria which is good for the digestive health of the mother as it reduces the baby’s risk of developing eczema & other allergies. A cup of yogurt gives you almost 30% of the calcium which is regularly required for a pregnant lady. Make sure you go for plain varieties and not for the flavored ones. Drink milk in breakfast and after dinner. If you don’t like plain milk, make smoothies by combining it with fruits or mix milk with oatmeal. Serve yogurt with fruits, crunchy whole grain cereal, and honey. Be it fresh fruits or dried ones simply top up your plain yogurt with these to make a great snack. Add cinnamon or ginger for added flavors. Fish liver oil is a rich source of omega three fatty acids EPA & DHA and is made from the oily liver of fish. 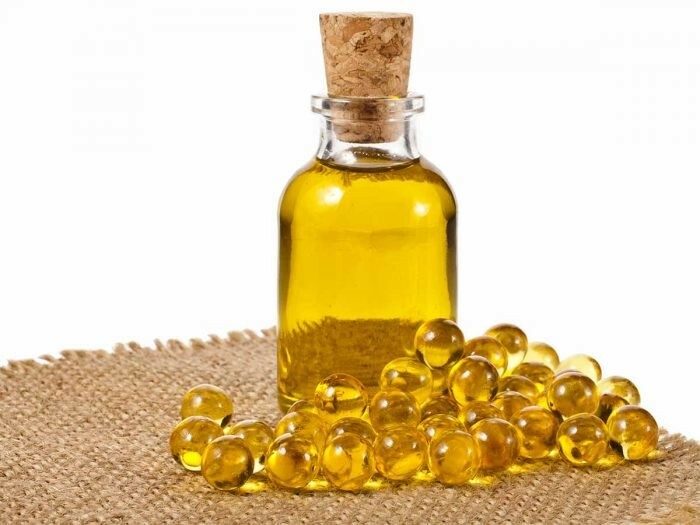 Omega-3 fatty acids are essential for the development of eye and fetal brain. Not just omega-3 acids it is also rich in vitamin D. People who don’t consume seafood can opt for fish liver oil as it gives you adequate amounts of vitamin D & Omega-3 fatty acids. Pregnant women who lack vitamin D leads to the higher risk of preeclampsia (a complication which is characterized by high blood pressure, protein in urine & swelling of hands and feet). Consuming fish liver oil during pregnancy lowers the risk of disease in baby’s later life & also helps the fetus achieve higher birth weight. A single serving of fish liver oil gives more than the recommended intake of vitamin A, D and omega-3. Don’t overconsume it, as too much-performed vitamin A can be dangerous for the fetus & high levels of omega-3 may also lead to blood thinning. 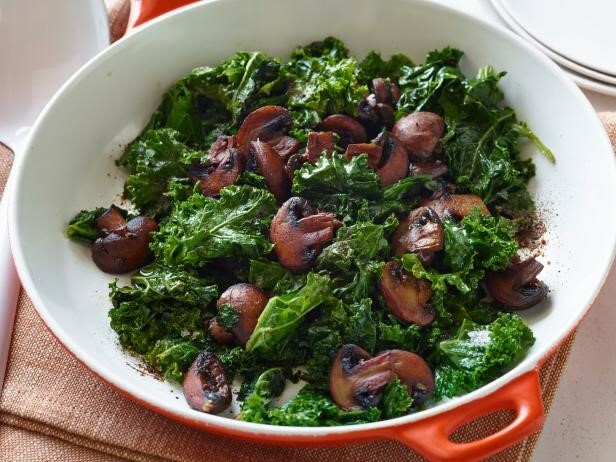 Kale is a leafy vegetable which has a high nutrition quotient. It not just provides you with your daily need of vitamin A & C but also boasts two nutrients which are essential that is folic acid & calcium. Folic acids help in preventing congenital disabilities & calcium helps in building the bones of a baby in the womb. Besides this, it also contains potassium which helps in reducing the water retention in the body. Make sure you eat a cup of kale, spinach or any other leafy green vegetable thrice a week. You can also mix & match these veggies to create tasty combos to avoid boring food daily. Simply sauté kale in olive oil & garlic. Add raisins as a side dish & add tomato sauce for added flavors. You can also make a kale soup. These 15 super foods to eat during pregnancy, can help you gain all the nutrients for you & your baby. It also brings out immunity for the unborn child. 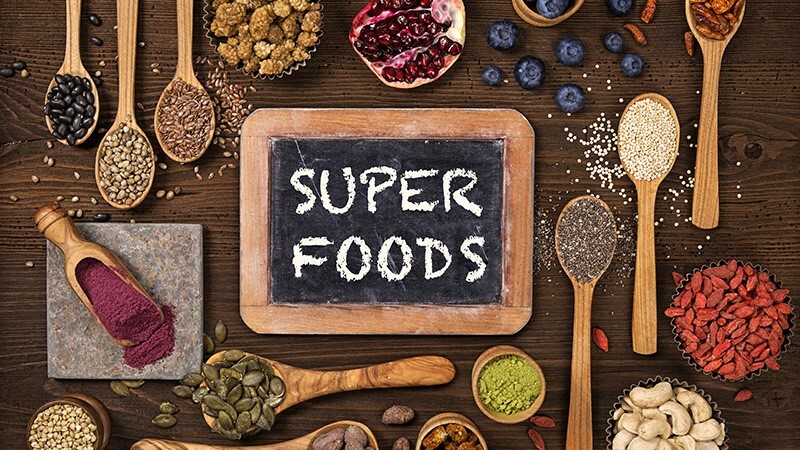 Make a diet plan today and include these superfoods for a healthy fully grown baby.